Lutterworth – March 14, 2018. BMW has elected to make the Kumho Crugen HP91 standard fit on the latest generation of its popular X3 model. Kumho tyres are already fitted to examples of BMW’s 1, 2 and 3 Series cars and the Munich-based motor manufacturer has now decided the HP91 is the right product for its mid-size SUV. The 245/50 R19 105W XL sized tyres are supplied direct to BMW’s American plant in Spartanburg, South Carolina, where the X3 is made. From there the completed cars are shipped across the Atlantic for sale in the European market. 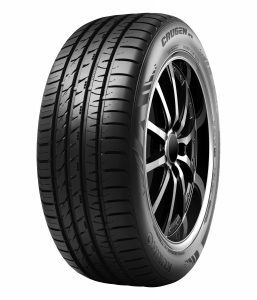 The Kumho Crugen HP91 is the perfect tyre for powerful SUVs. Its latest generation silica tread compound ensures excellent handling in both wet and dry conditions. In the latest summer tyre test by respected German car magazine Auto Bild Allrad (4/2018), Kumho’s UHP tyre impressed the testers with its good traction on sand and mud as well as its excellent balance on wet surfaces.